It’s been a minute…actually 3 years since our last family challenge video! 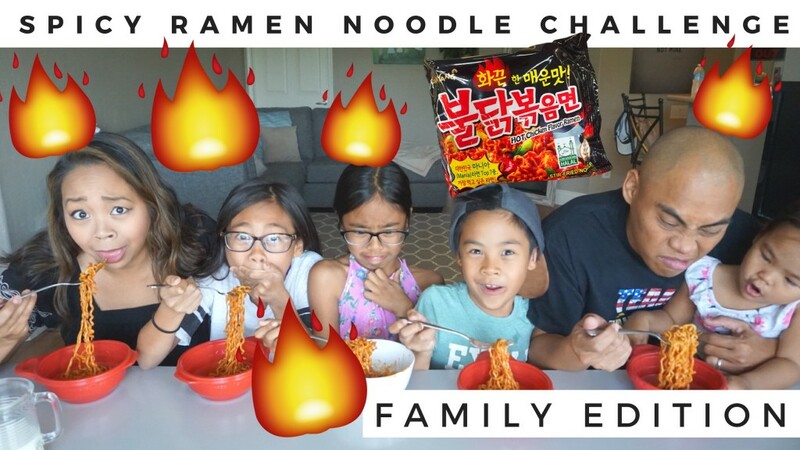 The kids have been begging me to do the Spicy Ramen Noodle Challenge…or is it called the Spicy Ramen Challenge…or the Spicy Noodle Challenge? Either way…we did it! Watch to see our Parents Vs. Kids edition? Who do you think won…parents or kids…and which of the kids and which of the parents completed it? Watch to see our misery lol! Comment below which challenge we should do next?? ?